Cons: One disadvantage of standing seam is its high price tag, which is significant compared to the cost of traditional shingles. 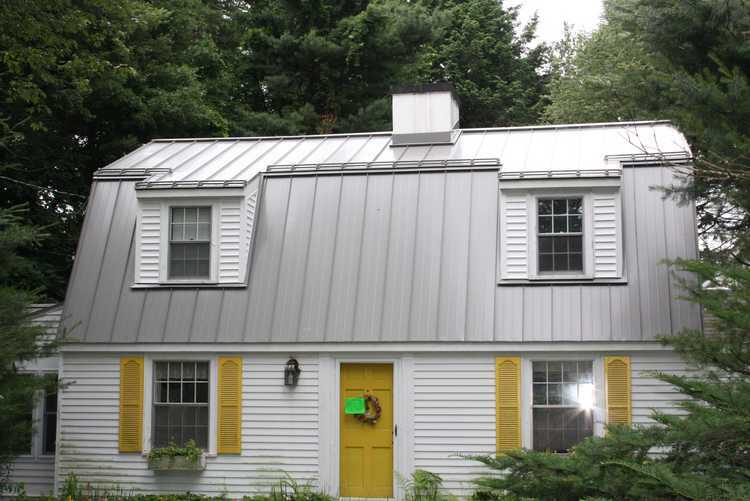 In fact, standing seam is considered to be one the most expensive of all other major types of metal roofing! 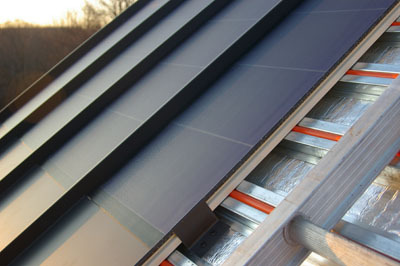 Another disadvantage has to do with the level of difficulty involved in flashing around various types of roof penetrations such as skylights that happen to be close to the ridge of the roof, thus interfering with and making it difficult to install the Z-bar flashing commonly employed with standing seam. 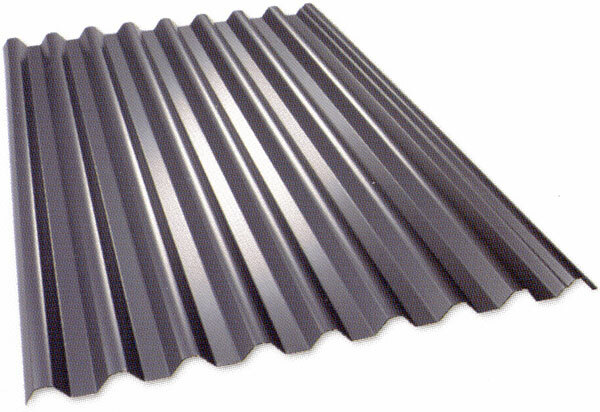 Pros: One advantage of corrugated metal roofing is its relatively low cost. In fact, it can be installed for less than half the cost of standing seam, or around $500.00 per square, which is on par with traditional composition shingles. Yet, a high-end corrugated metal roof will probably outlast a composition shingles roof. It will also yield significant energy savings over the years, especially if you opt to go with Kynar 500 paint vs. the less expensive acrylic paint finish that can easily pill and crack over the years. It may also be wise for you to choose to go with a thicker metal grade such as 26 gauge steel vs. the cheaper 29 gauge steel in order to prolong the lifespan of your new metal roof. Aluminum corrugated and R-panels are also a good option, especially if you happen to live close to the coastal areas or marine environments. Corrugated metal roof will perform really well in any type of extreme climate, with rapid temperature changes causing thermal shocks responsible for cracks in asphalt shingle roofs (Think Florida, Arizona, Texas), as well as places with heavy snow fall such as Minnesota, Ohio, New Hampshire, Maine, Vermont, and upstate New York. Cons: One inherent design flaw associated with corrugated roofs has to do with exposed fasteners that can be responsible for premature roof leaks due to fasteners becoming loose and rubber seals drying out over time. However, this disadvantage can be mitigated by re-tightening any exposed fasteners that become loose over the years. Over the years, applying specially-formulated metal roof coatings to stop leaks on corrugated roofs can also be a necessary option, especially on commercial roofs with low slope, where loose exposed fasteners can become a major source of leaks. Metal shingles can resemble the look of traditional shingles, shakes, and tiles, but that’s where the resemblance ends. Just like standing seam, metal shingles are available in a wide array of colors and styles to compliment any house design and neighborhood requirements. Metal shingles, with its more “traditional looks” can be a better option for historic homes than other types of metal roofing. Pros: Metal shingles are less expensive to install than standing seam. In fact, you can save about 20% to 25% by going with metal shingles! 😉 It will last just as long as standing seam, yielding the same energy savings. It’s also easier to install as there is no need to measure and cut any panels, as metal shingles are small and hence simple to install. 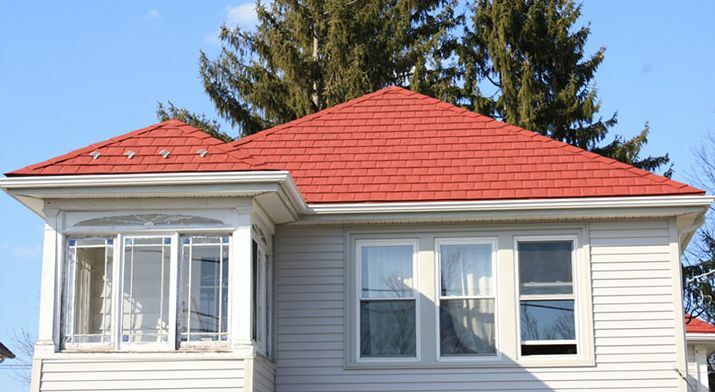 Metal flashing details are also easier with metal shingles, which means there is more flexibility and freedom of maneuver, especially when the installation takes place on a difficult and cut-up roof with multiple dormers, towers, skylights, level changes, and other architectural features that are especially prevalent on older Victorian-styled and historic homes. Cons: The only disadvantage to metal shingles other than its relatively high cost (compared to asphalt shingles), is the fact that it is not ready for an easy solar system integration in the same way that standing seam is. In other words, you will need to drill some holes in order to install the solar panel mounts on your metal shingles roof. Thus, if you plan to go the solar route some day, then definitely consider installing standing seam to avoid drilling holes in your roof! 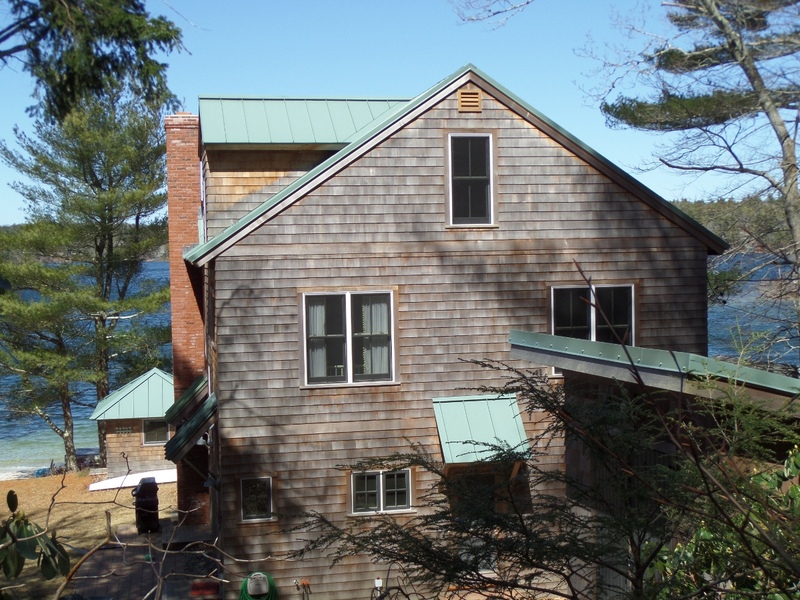 « Metal Roof vs. Shingles – What your Regular Roofer will Never Tell you!